Communicating the faith. 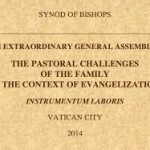 This is the number one priority, as it is outlined in the “Instrumentum Laboris” of the next extraordinary synod on the family. Amid strong points of view, some of which can be discarded at a political level (the ones the secular media have been writing about), the Instrumentum Laboris is also a call for parish priests to be better formed in transmitting the love of God, to be able to explain to the faithful the beauty of the family. A paragraph is also dedicated to homilies, which are so important to Pope Francis that he dedicated to them a significant part of his exhortation “Evangelii Gaudium”. Before addressing the signs of the times, the discussions at stake, there is a need for a renewed priesthood. This is an old challenge. Pope Francis is called to address it. In 2005 Benedict XVI revised the rules for joining seminaries – one of the very first decisions of his pontificate. That revision was described as discriminatory of homosexual priests because the document explicitly stated the any priest who may be promoting the gay culture could not join a seminary. Yet that revision is really more than that. The document stressed the need for greater discernment and better formation of priests. In the end, the documents asks those who select the future new priests to take into account that to be a priest is something more than to be a martyr. According to St. John Chrysostom, the martyr dies just once, while priests die many times every day for the sake of their communities. Pope Francis has always said that he wants priests who are impregnated with the smell of their sheep, i.e. close to the people. A priest whose commitment does not end with the Sunday Mass. The responses given to the questionnaire for the synod also put in evidence that a priest with the smell of his sheep must also be a refined theologian, attentive to the magisterium and able to transmit it to his congregation in a joyful way, and not in an overbearing way. Perhaps, this is at the heart of the crisis of the Church, which mirrors the crisis of society as a whole. Big ideas about how to be close to the people have always come from profound theological reflection. The «blue-collar priests» whose numbers grew in Belgium and France before the Second World War were part of a movement of theological reflection that will be at the foundational core of the Second Vatican Council. After the Council, however, it seems that the sense of theological reflection was somewhat lost. Being among the poor seemed to be more of a radical-chic fashion, a way of appearing as a grassroots priest, focused on a Gospel of the people, sometimes conveying in his message a criticism of the Church hierarchy and institutions in general. The preferential option for the poor is indeed essential for the Church. But, when this option becomes the measure for everything and lose sight of announcing the Gospel, problems arise. This is the argument at the heart of the discussion about Liberation Theology, and it also reveals that, as time went by, the Church perhaps lost her ability to go straight to the core of the issues at hand. The quality of reflections deteriorated, and the Church adjusted to this weaker forms of thought. 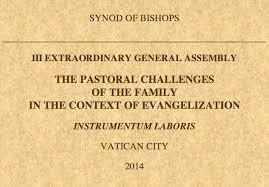 That the synod of bishops is once again proposing the challenge of formation is food for profound thought. Since Pope Francis has said that the true revolution lies in going back to the roots, it is good to look back in history for guidance. Last week, the Italian edition of the book “The Parish Priest”, by Douglas Brinkley and Julie M. Fenster, was presented. Published by the Vatican Publishing House, the book recounts the story of Father Michael McGivney, an American priest, founder of the Knights of Columbus. The book also offers an excellent portrait of what Catholicism was like in the mid-Nineteenth Century in the United States. At that time, the United States were a land of mission. The dioceses were under the administration of the Vatican’s Congregation for the Propagation of the Faith. The priests were almost all coming from Ireland – which was at the time suffering from a huge famine. In a difficult new land, where institutions of all kinds needed to be established from scratch, vocations were precious. Particularly remarkable is how vocations were understood at the time, so different from how they are presented today. It was a way of being for Father McGivney, who was not the kind of priest whose sense of commitment ends with Sunday Masses. To the contrary. Father McGivney’s activity was not only that of a cultural motivator, but also that of a priest who cared about his community, and who would do anything it would take to see it grow. «Nearly a decade before Rerum Novarum formally launched the Social Doctrine of the Church, Father McGivney was founding a lay Catholic organization that would be dedicated to both the spiritual and temporal well being of its members,» said Carl Anderson, Supreme Knight of the Knights of Columbus, presenting the Italian edition of “The Parrish Priest”. In a land of mission as the United States, the “Rerum Novarum” had an important impact. It was so for John Ryan, a priest who lived in the first half of the twentieth century. Ryan found unbearable both the condition of poverty and the continuous discrimination of Catholics. In a still difficult situation, John Ryan read Leo XIII’s Rerum Novarum. He was fascinated by it. The encyclical gave Ryan the tools he needed to put his Catholicism at the heart of his ideas about the economy. These two examples, coming from a U.S. Church which had become with respect to her own country one of the most influential in the world, show how thoroughly-formed priests had the courage and audacity to change society. Not by chance the New Deal was also one of the inspirations of the thought of the Italian Catholic politician Giorgio La Pira. A lay Dominican, with a faith so strong that he proposed to begin the new Italian Constitution that was being drafted after Second World War with the words «In the name of the Father, of the Son and of the Holy Spirit,» La Pira was also very sensitive to social issues. As mayor of Florence, he sided with factory workers in promoting their rights and in opposing the shutting down of factories. La Pira formative years coincided with Pope Pius XI’s new habit of commemorating the anniversaries of important documents with a new encyclical. Forty years after the issuance of Rerum Novarum, Pius XI wrote the Quadragesimo Anno. This encyclical also inspired Austrian president Engelbert Dolfuss, whose administration ended with the Anschluss, the Nazi occupation. This is the reason why the synod, in the end, is in search of parish priests, people strong in faith and well formed who can give heart and inspiration to a generation of new laymen active in society, in politics (the synod’s Instrumentum Laboris even supports lobbying for laws in favor of human life and the family), in every field. In the meantime, from July 1 to 4, the Council of Cardinals will meet in the Vatican to finalize the new design for the management structure of the Church and to work on a reform of the Curia. There is the possibility of the establishment of a Secretariat for Communications, although it is more probable that it will actually be a commission for communications that will be established. Its secretary should be Monsignor Paul Tighe, current Secretary of the Pontifical Council for Social Communications. Its members should include the American Greg Erlandson (Our Sunday Visitor) and the spokesperson of the Vicariate of Rome Father Walter Insero, and representatives of the Vatican media (Dario Edoardo Viganò, of Vatican Television; Father Federico Lombardi, Holy See Press Office; and Gian Maria Vian, from L’Osservatore Romano). All of them should be asked to think in new ways about Vatican communications, rather than about a re-organization of the Vatican media. It is not discounted that the work of the Commission will lead to the establishment of a Secretariat for Communications, or perhaps that the Pontifical Council for Culture will become a Congregation encompassing the responsibilities of Culture, Communications, and New Evangelization. We are in any case speaking about functional reforms. They cannot work if there are no well- formed priests, full of a sense of mission, capable to shape these reforms and inspire laymen who are able to carry a vision forward. Only then would a new communications model, a new way to announce the Gospel, succeed. Parish priests are needed to renew the Church. And Pope Francis knows it. The 2005 document is not discriminatory simply because it « explicitly stated the any priest who may be promoting the gay culture could not join a seminary ». This is only one part of the problem. The 2005 document’s anti-gay discrimination is three-fold, saying that the Church « cannot admit to the seminary or to holy orders  those who practise homosexuality,  present deep-seated homosexual tendencies or  support the so-called “gay culture” ». Using this wording while remaining complacent on those who present deep-seated heterosexual tendencies, is a clear discrimination that organises favoritism in favour of those with heterosexual tendencies. And you are surprised by that? Of course it does. The Catechism does the same when it talks about homosexuality being a disordered tendency. Next thing you will be shocked that the Pope is a Catholic! Don’t forget, as well, that many seminaries – and Austria, the US and UK come to mind – had developed an almost exclusively ‘gay’ culture which was deeply antipathetic to the faith. If anyone had written pro-homosexual articles 10, 20 years ago, you would have laughed at them. This is the homosexualist propaganda wave at work in western society. I am certain in another 10, 20 years it will be a painful memory in a renewed heterosexual world.